This is an amaryllis that blooms in my Grandmas garden. She told me that she got the original bulb from this long lived plant back in 1965, from their neighbor at the time Mrs Schaffer. The plant is now divided into to pots, and after this blooming season, my mom and I both will take some to plant in our own yards! Gorgeous. Wonderful lighting in this. Good to see you hear on PAF and OYGIF. Beautiful capture! Hope you'd find time to visit my Anthurium. Amaryllis from your Grandmother's garden. Thank you so much for sharing it with Today's Flowers. Would you be willing to share two or three of your flower photos on our home page in our Guest Friend spot? If you are interested you can send them to me at luvinwildlife@hotmail.com, and if you could please put ‘TODAY’S FLOWERS’ in the subject line, this would prevent it from dropping into my spam folder. As friends send me their photos I add them to a list in the order received, and let them know when they will be shown. Thank you for considering this and absolutely no pressure, we are just very grateful that you share your flowers with us whenever you can. Wow, now that's what I call an heirloom plant, and it's gorgeous! So beautiful. Congrats on your 900th blog post. How beautiful! And how lucky you are to get a division from it. Congrats on your 900th post and thank you for sharing with Photo Art Friday. 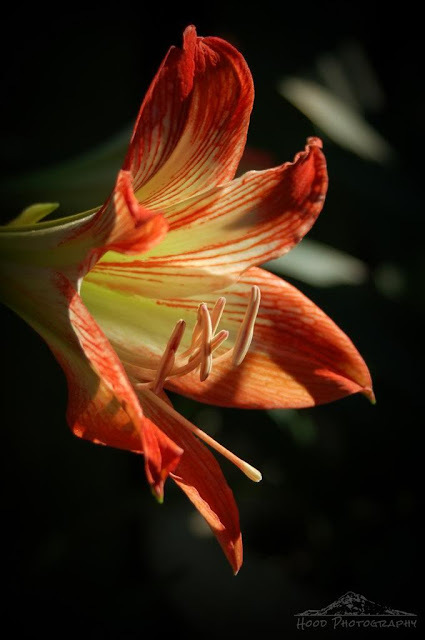 Another gorgeous for today...I just going through this week Floral Love submissions... Love yours among all the other – Your amaryllis is magic! Lovely, that is the best way to accumulate plants. Plants from a bulb or cutting from a family member or fried are little treasures, every time we see them, we remember the people.